Let's be friendly out there, Black Friday shoppers. One of the most American things about America is how Americans are so hungry to save some American bucks on material goods that they will outright brawl in big-box (and other) stores on Black Friday. This remarkably awesome sociological defect started long before 2016, so don't bother chalking any of it up to the tense nature of our times. (Also, it happens elsewhere, so consider this America's finest export). 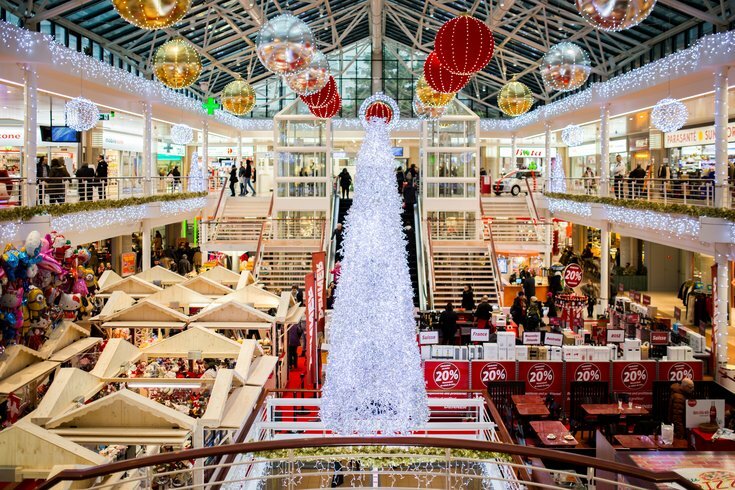 Infrequently Asked Questions: Why are shoppers so aggressive on Black Friday? It is who some of us are. Embrace it like I do, to the point of having just spent more than a few hours delving into the archives to compile this Top 10 List of Black Friday Brawls across America. You can watch it if you’re among those who don’t go camp out for an Xbox One or an LG OLED TV. Heck, you can watch it in line if you’re waiting to sprint inside a store at the very second the unfortunate employees – stuck working on Black Friday – turn that key and open the front doors. Yes, there's some credence to the fact that there's an element of poor-shaming involved in America's fixation on these, but the mirror shows who we're truly are. Also, please don't go out and fight on Black Friday, folks, even if the No. 1 entry on this list is local. It's not the right thing to do to save a few bucks. Honorable mention: Saginaw, Mich. (There is debate as to whether this is real; hence, its tepid inclusion). 4. Vintage Faire Mall: Modesto, Cal. 2. Galleria Mall: Roseville, Cal. 1. Franklin Mills Mall: Philadelphia!! !